By now, we've all heard that Tiger Woods was arrested over the weekend for driving under the influence. He claims that he was not intoxicated and that alcohol wasn't involved, but cops reportedly smelled alcohol on his breath. Tiger claims h was having a bad reaction to some prescription medication. You may recall Tiger's Thanksgiving 2009 early morning shenanigans when he and his then wife Elin Nordegren got into a major row after she discovered he had cheated on her multiple times. Tiger went out and crashed his car and lost tons of sponsorship money. In the years since then, he's done a somewhat decent job of walking the proverbial straight and narrow. He's regained some respect and a few endorsements. His good guy image was merely slightly tarnished but not dead. Well, that may have all changed. Over the weekend Woods was picked up in Florida on charges of driving under the influence. As a result, he could lose tens of millions of dollars. In the long run, it could ultimately total hundreds of millions. Woods is coming off an off year, basically. He spent most of it recovering from a back injury. But he still managed to make $45.4 million from endorsements. $20 million of that just from his Nike contract. Woods, a 14-time major winner, used to be the darling of athlete endorsers. But, this latest embarrassment may turn off image-conscience sponsors like Rolex and Bridgestone. Especially since there is dash cam footage of the golf pro's 3am Tuesday arrest. Reports say the footage is damning because Woods was arrogant during the incident. Some of Woods' ex-girlfriends and mistresses came to his defense even before he issued his statement. 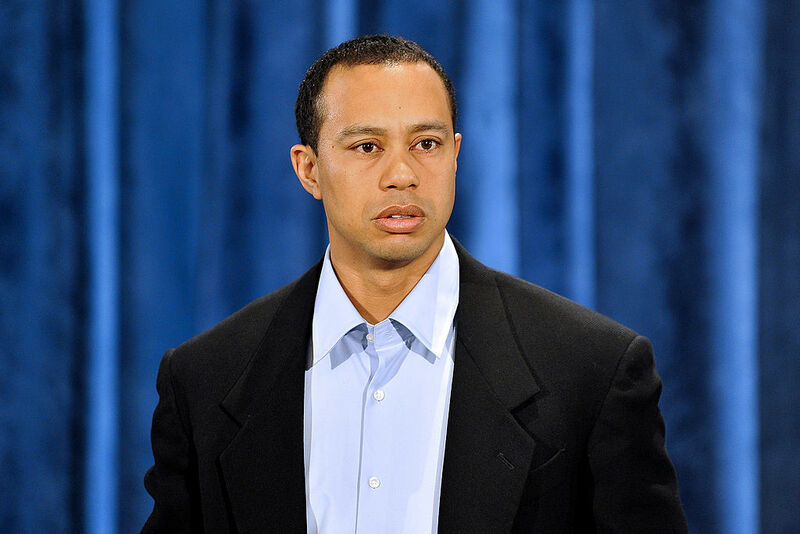 Coris Rist, a model who Woods had an affair with in 2006 while he was still married to Elin Nordgren, said that she was "kind of sad" hearing about his arrest because Tiger "was going through a difficult time." That's sweet and all, however, his current girlfriend, Kristin Smith had a totally different reaction. She was shopping at a Dallas Neiman Marcus and reportedly broke down crying when she found out about the arrest and said: "I knew it, I knew it." Tiger Woods has a net worth of $740 million, so he definitely afforded to uber home. What do you think? Should Tiger Woods lose his lucrative endorsements as a result of this latest embarrassment?